Are you looking to get imovie on your windows pc? I know you get tired but was unable to find a version of imovie which works on windows OS. If you search it on google, you will get lots of posts about it and download links which says that download imovie for windows, but I am sure that those softwares are not imovie for windows. Actually they gives links to the alternatives to the imovie software and saying that download imovie for pc. I think you may already know about it but in case you just get into my blog by chance and don't know what imovie actually is? then let me clear for you that iMovie is an advanced videos editing software which has been built for iOS and mac OS X only and the software is developed by the apple inc. it is also need to be clear that they didn't said anything about announcing a windows version of iMovie yet. Now let get started with the collection of apps that looks like the imovie app and gives your rich interface to make the desired editing in your videos as people do it on imovie. This is a perfect alternative to the imovie video editor and can be installed on your windows os. It has the availability to add unlimited videos, photos so that you can make amazing slideshows of it. Apart of this, it has tons of 2D and 3D transitions and more than 500 movies styles which you can apply to your slideshows to make it more amazing and a perfect movie. Dvd slideshow builder also features some amazing video editing tools inside so you can easily make the desired editing in your photos, slideshow and movie. Software also allow you to upload your video to youtube or burn to a DVD after getting satisfaction while you're editing or making video/movie/slideshow. Being an adobe product, premiere pro is a video editor that let you make the desire editing in your video. it supports almost all known formats of videos to edit quickly. 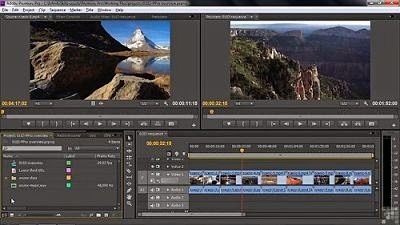 Adobe premiere pro can be considered as an alternative to the imovie and can be downloaded to the windows OS so that we can say that the dream of imovie for windows fulfilled! The features include speech-to-text feature which let you search something by speaking and it will recognize it. Have low budget? or have something basic to do? 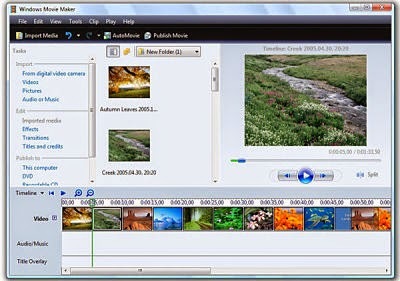 I prefer to use the windows movie maker in case you want to create a simple movie, slideshow which is already installed on your computer having windows installed. You can get access by searching for windows movie maker from the start menu or go online to download from microsoft. It gives you some basic editing options like, combine your photos, videos, add text, transitions etc to make a movie. My best ever videos editor for your windows to let you edit videos, create slideshows, add special effects etc. It comes with such built-in tools that let you easily edit your movies/videos and give it a professional look you can start editing your project just by dragging photos, or videos to the project area. It support all popular formats. In short, using iSkysoft video editor, you will be able to add amazing effects like text or image watermark, change video background, overly multiple videos, add transitions and have a lot of special funny effects which will give a new and never-seen look to your video. 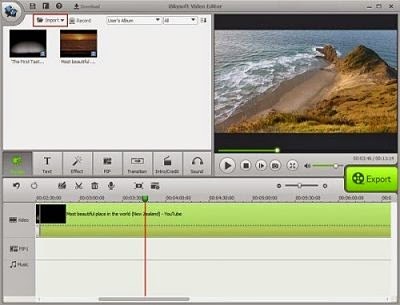 So above we shared some video editing tools that can be considered as imovie for windows alternatives. I hope you liked these and will help you to edit your videos. I hope you find it similar to the imovie and you will feel like you are using iMovie on windows pc. At last, don't forget to share this post on your social networks. it takes a few seconds of you but may be helpful for your friends. If you think there is something missing are you've used any other video editor which works like the imovie and not mentioned above then feel free to let us know int he comment box. so we'll add it to our list above.